Equipment includes: multifunction toilets (all floors), baby rooms (1st floor, 2nd floor and5th floor), large signs, floor tiles for the visually impaired (braille blocks), handrails and audio guidance equipment. Wifi is available (you can connect via laptops and tablets etc). There are coin lockers on each floor. Insert \100 coin to use them. This is returned afteruseage. On the 1st and 4th floors, there are rest spaces with vending machines and water fountains. 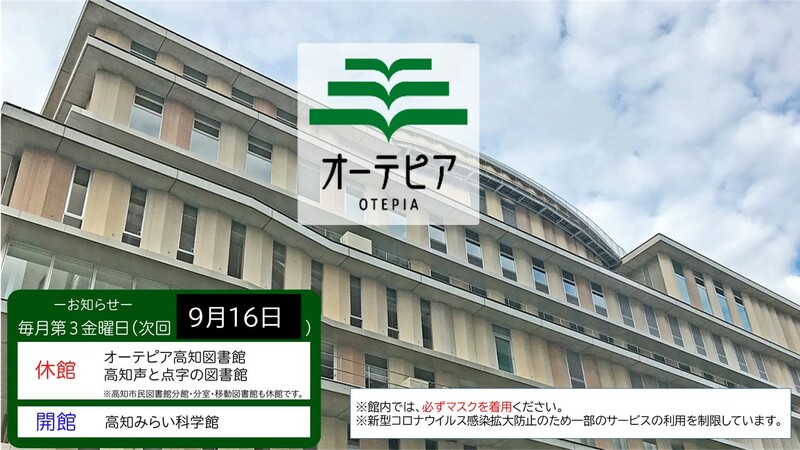 location：2-1-1 Otesuji, Kochi City, 780-0842 Otepia is located in the center of Kochi City,facing Otesuji. ※Availability for the ground level parking lot (40 units) and the automated parking lot (60units) is displayed as "満" or "空." ※This information is updated every minute. Please refresh the page to view the most recentstatus. Please note that the availability status may be different when you arrive. 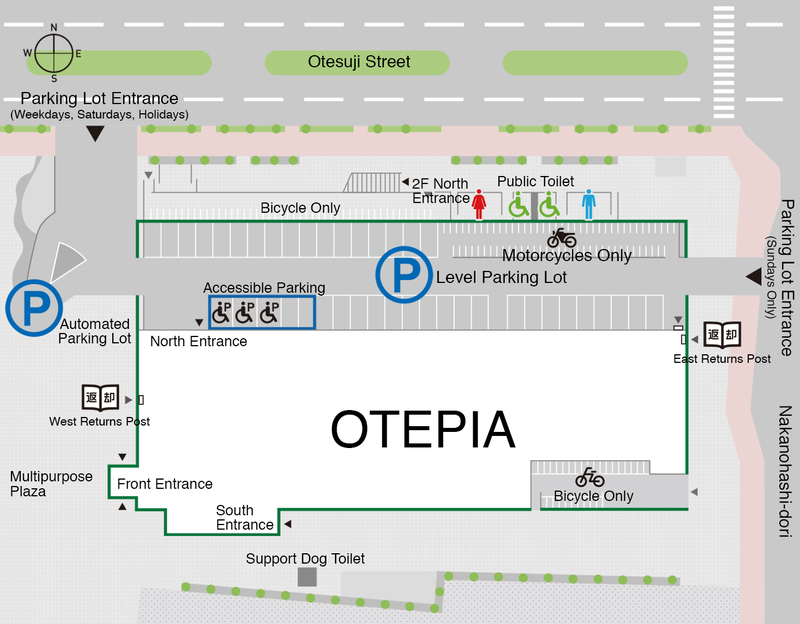 ※Facility visitors can get the first 60 minutes free by completing a discount procedure at oneof the counters in each Otepia. These vehicle and bicycle parking lots are reserved for facility visitors only. If you are nota facility visitor, please refrain from using them. It is not possible to park here outside of the available hours. There are a limited number of parking spaces. Please use public transportation as muchas possible. ※Unauthorized reproduction of articles/photos is prohibited.